Walid Tadjouri has been training in Brazilian Jiu-Jitsu for over ten years and has attained the black belt level in this art. He has won countless Gold Medals at every belt level and is well known as a formidable competitor on the UK scene. 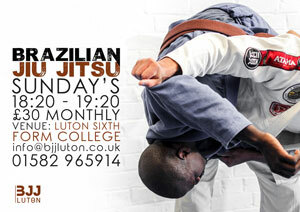 Walid runs his own Carlson Gracie Mata Leao academies in Stratford, East London and Luton as well as still teaching every week at The Boiler Room in Hammersmith, Carlson’s Headquarters.